Malta is the only country in the EU where abortion is entirely illegal. But that might change, especially after two Maltese women's rights organizations — the Women's Rights Foundation (WRF) and the Network of Young Women Leaders (NYWL) — came out strong in support for safe and legal abortion this year. And their call has gotten some serious backing by the Council of Europe's Human Rights Commissioner who in a recent statement said: "It is clear to me that women's human rights cannot be protected without ensuring their effective access to safe and legal abortion care." He argues that current legislation banning abortion completely goes against the commonly accepted norms of international human rights, and by denying women the possibility to access the practice is something that must be rectified. 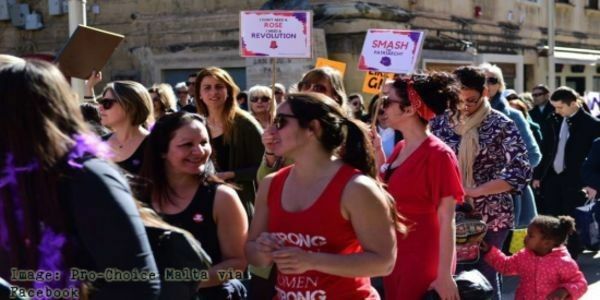 It seems like the movement towards women's choice in Malta is growing. It is our chance to tell the Maltese government that we too believe the women of Malta deserve the right to to decide. Please add your name to the petition and tell president Marie-Louise Coleiro Preca that now is the time to legalize abortion in Malta.